This story takes place directly after Lucius and Jessica’s wedding. For more information, the reader may want to read the online story detailing the wedding which can be found on the author’s website. However, the author does a wonderful job of informing the reader of every little detail; the main reason one would want to read the short story is because it is Lucius and Jessica’s wedding! 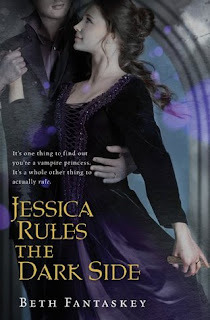 The reader will be continually impressed with the connection between Lucius and Jessica as well as their clearly deep love for each other. The reader will not feel that their love is cheesy or overdone, their love appears completely genuine. Jessica and Lucius are dynamic characters; they have grown up some since the first novel. Jessica handles problems with wit and charm while Lucius relies on wisdom and intellect. Princess Antanasia Dragomir Vladescu emerges within Jessica. A subplot of this novel is the growing relationship between Raniero and Mindy, Jessica’s friend. The reader will love the glimpse into both of their minds, their thoughts and feelings are clearly laid out. The events are fast-paced and fun to read about. The reader will never be even remotely bored. Jessica’s entrance into the vampire world is exciting, things do not go exactly as planned, but Jessica holds her head high. Lucius has to deal with some things that have come back to haunt him, leaving Jessica on her own for part of the novel-the only downside in the whole book. There is an air of intrigue, a slight mystery in this novel that will have the reader guessing. The author switches between Jessica’s, Lucius’s, Raniero’s, and Mindy’s point of view, allowing the reader the chance to get to know them all much better. This book will impress the reader, Fantaskey is at her best. Her writing style contains hints of amusement and laughter, the romance portions were believable. This book is highly recommended to young adult/teen/adult readers. Don’t miss out on this amazing novel!